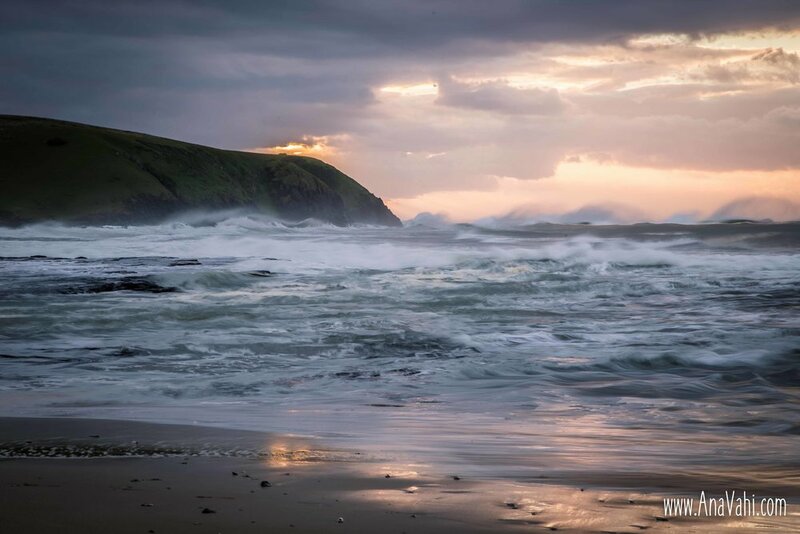 In the southern wild coast there is a mystical coastal forest interspersed by grasslands and with a rugged coastline, just waiting to be explored. But behind this beauty lies a turbulent history. In the late 19th and early 20th century the state relocated all inhabitants from the forest to the surrounding grasslands. At that stage, they were still allowed to harvest forest products and had grazing rights within the reserve boundaries. In 1978 the authorities formally established the Dwesa-Cwebe nature reserves and all harvesting and grazing within the reserves was prohibited. In 2001 a land claim was settled between the seven villages surrounding the reserves and the South African government. The villagers regained the rights over their ancentral land. They formed the Dwesa-Cwebe Land trust, a legal entity that owned their newly awarded land rights. 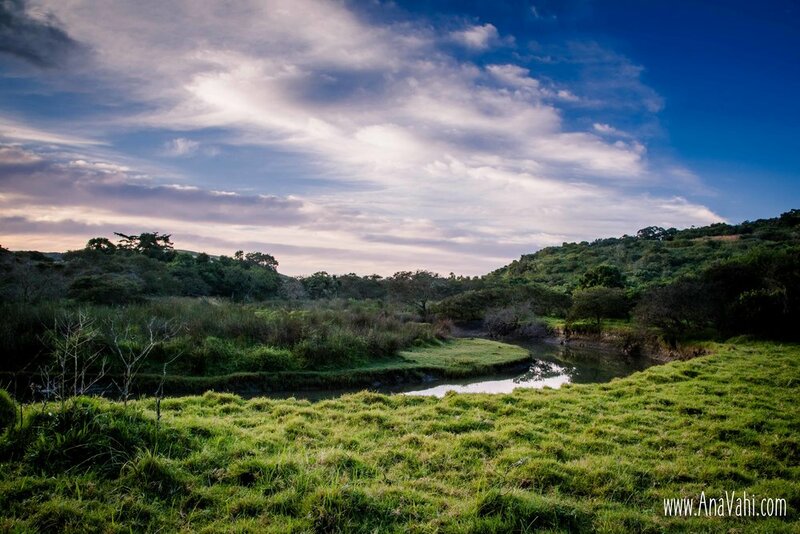 The reserve is co-managed by the Trust, the Department of Water Affairs and Forestry, The Eastern Cape Parks authority, the Department of Land Affairs and local government institutions, with a Community Forest Agreement regulating the use and management of the reserves and the resources therein. The Mbashe river forms the boundary between Dwesa and Cwebe. The only accommodation available in Cwebe is the Haven Hotel and a number of privately owned holiday cottages. 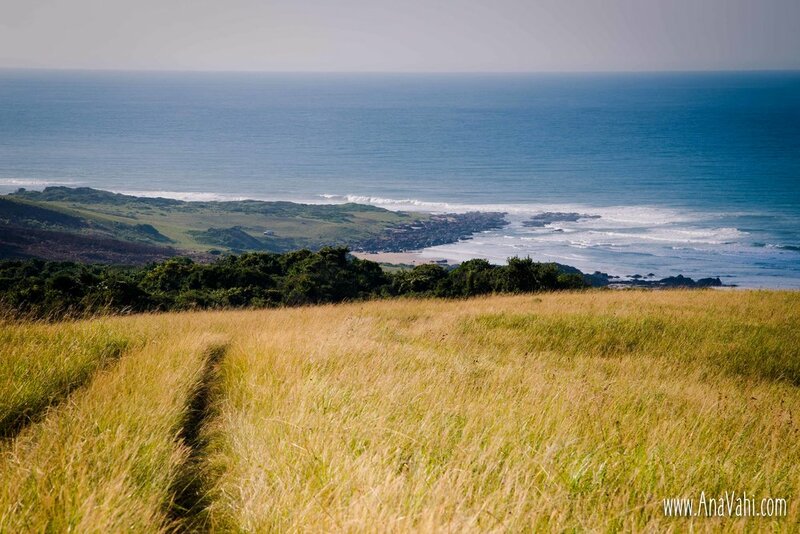 We stayed in Dwesa, where the Eastern Cape Parks & Tourism agency maintains a campsite and seven chalets. We unfortunately didn't quite reach the Mbashe while inside Dwesa but we crossed it on our way to the reserve. Fishing is allowed in Dwesa up to the mouth of the Kobolo River. There is a jeep track that runs through the forest. It is ideal for trail running and cycling, but be prepared for a lot of steep hills! Luckily the forest canopy is thick so you should be in shade most of the way. The road crosses the rivers that bisect the forest. Dwesa has Red Hartebeest, Blesbok, Blue Wildebeest, Buffalo and Eland. There are even crocodiles in some of the rivers. However, you are unlikely to see any game as they mostly hide in the forest during the day. It is a birding paradise with a total of 290 species recorded. There are turn-offs to secret places, like Dwesa Point - a secluded beach. These guys are all over the place, hope you don’t suffer from arachnophobia. Dwesa has four and two-sleeper chalets. We stayed in one of the two-sleeper chalets. The biggest difference (apart from the additional capacity) is that the four-sleeper has a deck. The four-sleeper also only has a bath, while the two-sleeper only has a shower. 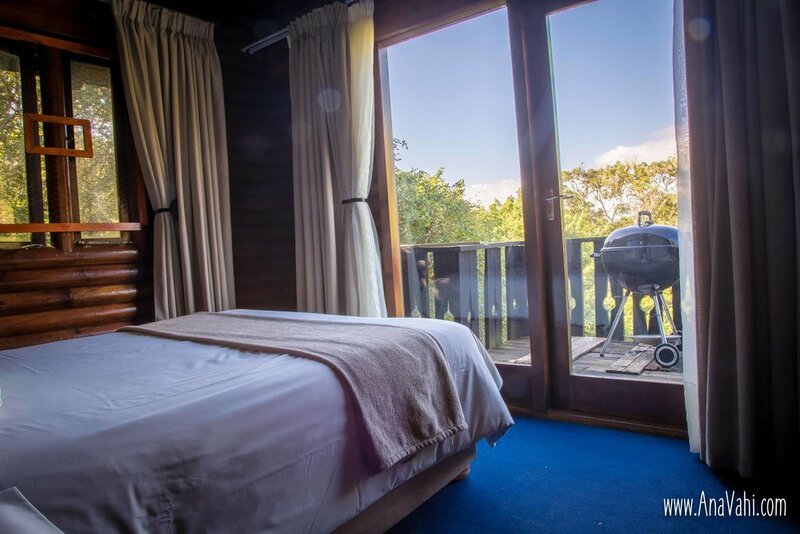 There is a panoramic view over the forest from the deck of the four sleeper chalets. 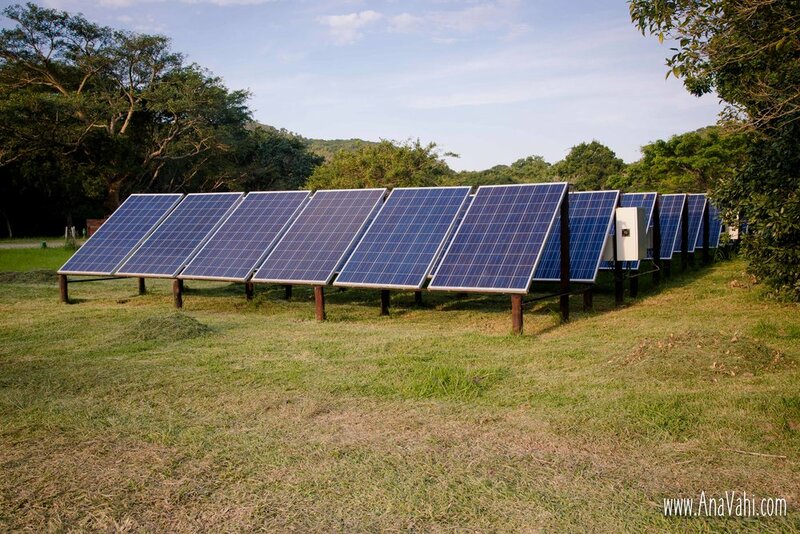 Solar power is supplied by a solar array installed at the reserve. Unfortunately it cannot be used for hair dryers, microwaves, kettles, etc. But it is good for the basics, like recharging devices and lightning. While the two sleeper has a big window with a view of the forest. The two-sleeper has a queen-size and a single bed. 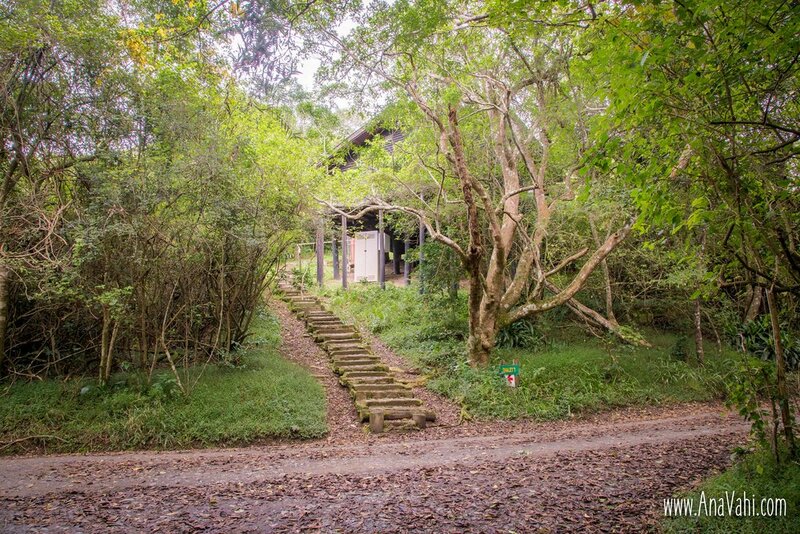 The chalets are hidden in the forest and connected with stairs to the access road. Dwesa also has a number of campsites. 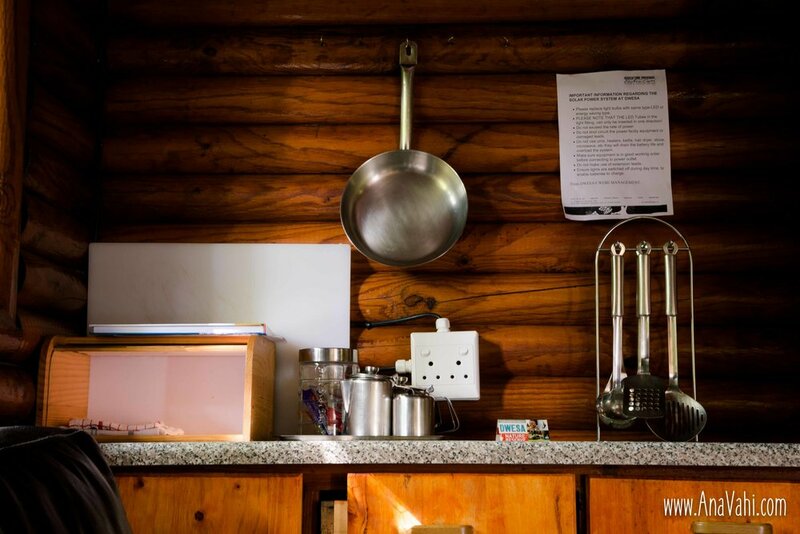 There is a central ablution facility, which may get crowded if the campsites are full - although in most instances you will probably have the whole campsite to yourself. There is a small shop within walking distance from the reserve with the bare necessities but it is best to bring everything you need with you to the reserve. The water in the cabins were drinkable when we were there. 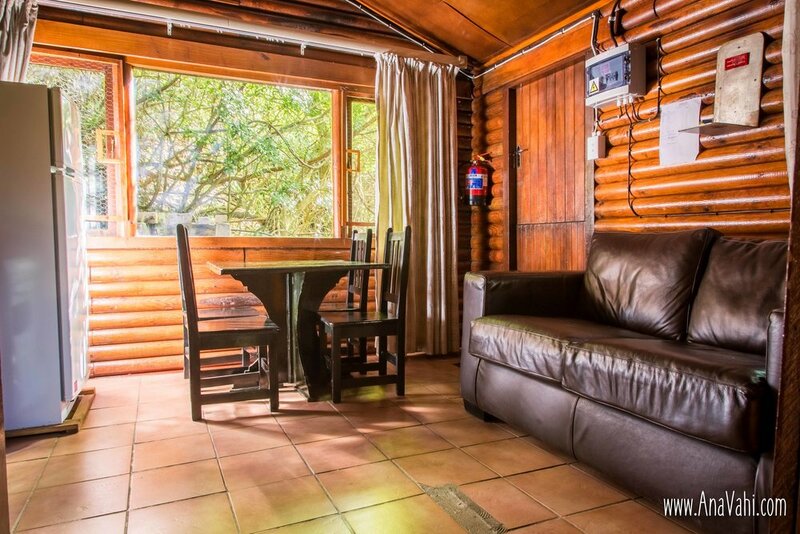 In 2018 it cost R370 for a two-sleeper chalet, R656 for a four-sleeper and R244 for a campsite. You get 10% discount if you book online. 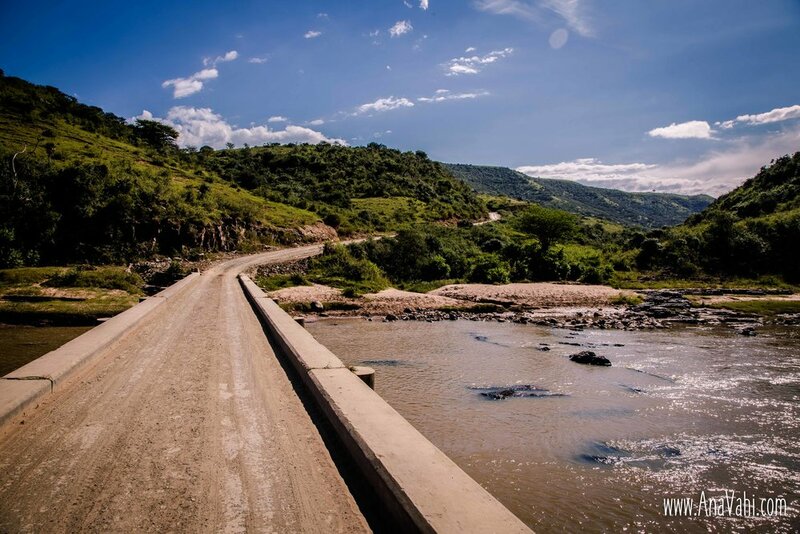 The road to Dwesa is bad, but if you drive extremely patiently you should make it, at least in the dry season. Our neighbours managed to get their with their Toyota Yaris... But best of course is to rent a Corsa Lite - the best 4x4xfar! Spare a thought for the thousands of people that stay in the area and for which these roads are their only lifeline to the outside world. And remember, once your at Dwesa the scenery will make up for any road rage!